Let's face it - Google does some amazing things. Whether it is search or driverless cars, they seem to be constantly tinkering. We bring this up to alert you about some things Google does that you may not know about. For instance, did you know: if you type in any crazy number in the search bar it will spell it out for you; it has been acquiring about 1 company every single week for the past 7Ys; it is also a wedding planner at Google Wedding; Google has a T-rex in front of its headquarters to remind employees not to let the company go extinct. All of these are pretty interesting if you ask us. Speaking of interesting and technology, bankers should know that financial technology (fintech) companies are coming together to lobby Washington DC. The CEOs of more than a dozen such firms have ramped up lobby efforts to promote the sharing of consumers' financial data with third parties. This newly formed group is called Consumer Financial Data Rights (CFDR) and it seems to be making some headway. Its initial campaign is aimed at giving CFDR a bigger voice to be better heard by banking regulators. This should put bankers on the alert and communications here should be closely monitored. The regulators are currently developing enhanced cyber risk management standards and fintech companies would like the new rules adjusted to the degree of risk incurred by customers. Small fintech start-ups, they plead, shouldn't face the same burden of regulation as banks. There is also the bigger issue of access to customers' accounts and financial information. 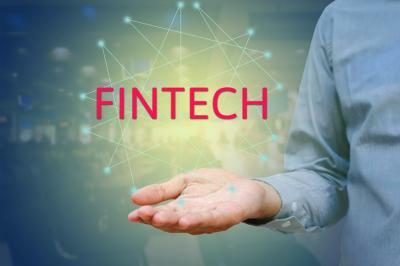 Fintech firms defend screen scraping (copying data from a website) and more recently the collection of financial data via open Application Programming Interfaces (APIs). APIs allow software programs to work with and interface together with one another. Here, fintech groups are pushing hard to be able to access customer accounts sitting at banks and other financial entities, to allow people to see their entire financial picture on a dashboard right in front of them on a screen. They say doing so helps people organize their financial information and make better decisions. On the bank side of the fence, allowing such companies to dip into account information they are storing increases the risk of a potential issue and possibly increases cyber risk. As such, banks naturally are guarded in sharing customer information with third parties like fintechs. Furthermore, the banks say the inherent risks of privacy loss and the potential for identity theft and fraud are increased in doing so. Nevertheless, consumers are demanding it, so bankers are in a quandary. This pressure also explains why some big banks are quietly opening a dialogue with fintech companies. JPMorgan, for example, is partnering with Intuit to share data. Likewise, Wells Fargo struck a deal with accounting software firm, Xero, to do so. The question is whether or not community banks will eventually have to provide this same service to their customers or risk losing them. Every bank is different, so reviewing customer needs is going to be important. Since resources of most community banks are limited, it might be more efficient to have a set of industry standards on data sharing practices that can be followed. There are already API standard setting initiatives in England and other countries. Although a few of the largest banks are forging the way with fintechs and data sharing, there is still much to be determined. However, with CFDR now lobbying Congress, expect changes to perhaps come more quickly than originally thought. Yields slipped 3bp as consumer spending came in lighter than expected. Bloomberg reports that a bank in Canada (Laurentian Bank) is trying something new with its branches as it seeks to address shifting customer behaviors. The bank plans to close 33% of its branches, turn others into financial clinics (with more in-branch advisers) and shift other branches to advice-only (with ATMs and no counter transactions). The bank said it is taking the action because the traditional bank operating model is "becoming obsolete." We wonder if any US banks will follow this approach in any way. ABA research finds 40% of consumers surveyed say they plan to consult their bank about a financial decision in the next 12 months. Areas indicated include financing an auto purchase (15%), financing a home mortgage (14%), financing my education (11%), financing my child's education (10%), helping me prepare for retirement (10%) and financing a home remodeling project (9%). Myemma research finds checking email is the top activity on smartphones and 51% of all email now gets opened on a mobile device. Meanwhile, 80% of people will delete an email if it doesn't look good on mobile. Javelin research of 500 retailers finds fraud management cost 13% to 20% of the total operational budget in 2015 (the most recent time period available).